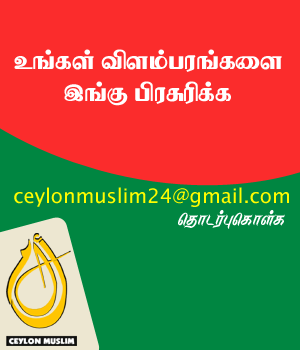 On December 2014, Sri Lankans worldwide turned their attention towards one-man also known as the ‘common candidate’, who infamously survived in the field being a party oriented political figure, for nearly half a century. The term common candidate didn’t just introduce a new political culture but also brought hope to those who know the value and the need for Sri Lanka to be put back in the green map of the fast-developing world. Obviously, Maithripala Sirisena’s victory didn’t fail to bring temporary joy to patriotic citizens who firmly set their position to support a nation free of communal hatred regardless of their race and religion. In March 2015, during his first visit to London as the head of the state, I was proud to have hosted the very first such meeting in a foreign land, and to greet and honour him. At that occasion, referring to his Rupavahini interview in which he said “ there is no need to call me his excellency “ I said we will be happy to call you “people’s president” instead. Was he? Is the question which needs impartial analysis. After meeting him for the first time, going out casual shopping as well as leisurely speaking, listening to him carefully and understanding his vision, I thought he is the man who can bring in the change that is long due to Sri Lankan politics. Therefore, I also noted in one of my previous posts that Maithripala Sirisena could become the ‘modern god father’ of the island. Meeting him a few days ago (17) once again in London, during his visit to the UK to participate in the commonwealth head’s meeting, I saw a totally different and helpless man who is just continuing in his capacity losing the grip which he was intend to hold firm to establish ‘good governance’ in the already corrupted island nation. 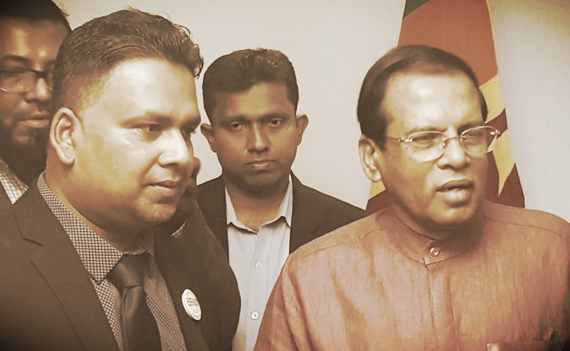 Failure to secure the complete control of his own party and operating not so independently from the UNP, Maithripala Sirisena is, in my view a LOST HERO. I was so grateful to have witnessed that the helpless president had the courage to face criticism unlike his predecessors but wasn’t a man of his class compared to 2015. His own admittance of inability and failure to reshape the government mechanism or in other words not have had the opportunity do so has weakened him a lot. A genuine sense of pathos is evoked in seeing a onetime hopeful hero running out of words and ideas in a meeting where very sensitive contents were being discussed. This has now ended any hope I have had on him to reshape the Sri Lankan society as he himself is battling for survival in the middle of an ocean where he has no place to stand or hold his feats. May god bless him and guide him towards a quick retirement and peaceful life.